The Atlanta Thrashers will be no more. The franchise will be sold to the True North group and moved north to become the Winnipeg Jets, or the Manitoba Whatevers. It's only a matter of days now before the official announcement. Yet, before all is said and done, Ken Campbell of the Hockey News delivered an interesting twist today when he told us that NHL Commissioner Gary Bettman wants to make the Atlanta Spirit Group pay as steep a price as possible for the transaction. Francophone Pressure Too Much for the Montreal Canadiens? That guy at the office who is all too eager to point out discrepancies. The one that fancies himself a walking, breathing, encyclopedia of vast, untapped knowledge. He constantly finds fault in even the most mundane water cooler conversations and relishes any opportunity to ever so politely, yet, still, amazingly annoyingly, correct others. You have forced a smile his way for years, carefully crafting every conversation to avoid even the slightest possibility of an argument. But, then on your last day at work, you let him have it. You explain how difficult it is to even speak in his presence. How uncomfortable he makes everyone around him. How you have tried to avoid him at every turn. Maybe letting it all out wasn’t prudent, but somehow, you feel better for it. It’s the refreshing type of honesty that only allows for itself in special circumstances. 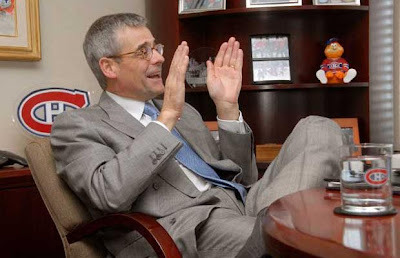 Montreal Canadiens president Pierre Boivin is on his way out. He found that special circumstance this week when he spoke at length to Montreal Gazette writer, Dave Stubbs. Jaromir Jagr Back To Pittsburgh Gaining Credibility? It began with a simple gesture and some kind words. Jaromir Jagr has played with Omsk Avangard for the past few seasons, and played well. When his contract expired after the end of this year's KHL season, the Pittsburgh Penguins made an offer to their former superstar. That is, they made an offer for Jagr to participate in an annual summer alumni golf outing. I felt like (former general manager Craig Patrick's) son... The fans in Pittsburgh, they all wanted to help me, and they all liked me when I was younger." Naturally, the invite and fond reminiscences led to growing speculation regarding Jagr's potential return to the NHL, and specifically his return to the Penguins. 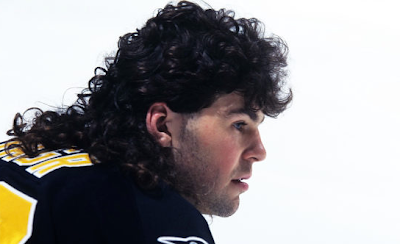 Many years ago Jaromir Jagr was a hockey god in Pittsburgh. Somewhere along the way the admiration faded. He was traded away to the rival Capitals, and later closed out his NHL playing days with yet, another rival team in New York. Jagr, somewhat ironically played his final NHL game in front of grudge-fueled Pittsburgh fans, as a member of the New York Rangers in a losing playoff effort. He went out on a losing note, but not until he had established himself as the most dominant player in that series. Could he come back to the NHL? Everyone loves the potential of this story. It would be an opportunity for redemption. The fallen star, who shouldered too much of the blame for the decline of the franchise a decade ago. Pegged for unflattering labels by the media. The target of booing and jeering by fans as a member of the opposing team, makes a triumphant return, ending his playing days the same way he started... with a Stanley Cup Championship; and just where he belongs, in a Pittsburgh Penguins sweater. Local and nation media outlets jumped all over the sensational topic. Hockey fans everywhere began to consider and debate the story's probability. Sidney Crosby's post-concussion symptoms aside, the Pittsburgh Penguins two areas of greatest need are at right wing and salary cap space. Jaromir Jagr is a right wing. If he were to play in Pittsburgh next season he would have to do it for a paltry sum. That notion has led many to dismiss the possibility of Jagr's return, as it was the allure of bigger and tax-free paydays in the KHL that led him there in the first place. However, a look back to when Jagr was a pending KHL free agent just two years ago, reveals that money might not be that great an obstacle. "Jaromir Jagr said he has no designs on returning to the NHL in the short term, but if he ever did return he would be happy to go back to the Pittsburgh Penguins to play for his former idol, Mario Lemieux. Just one more simple gesture required to make this fairy tale come true? 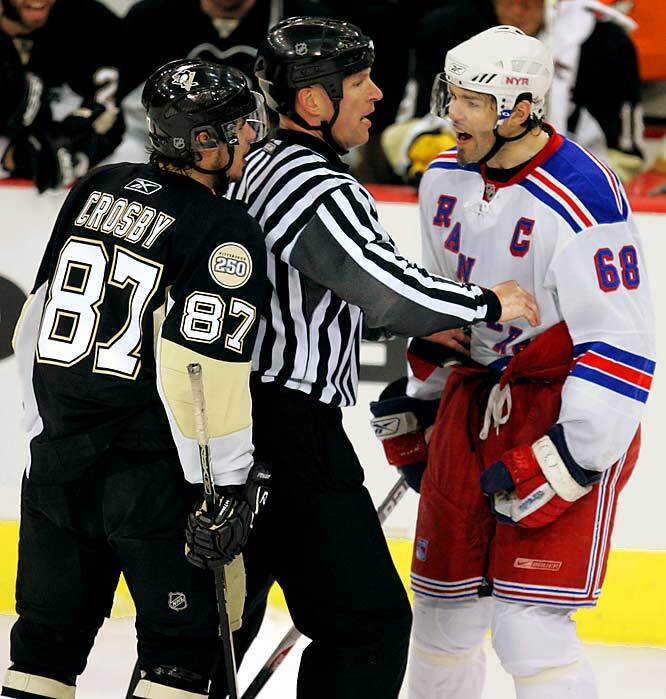 Nearly every Penguins fan in the world hopes that Mario makes that call. It may be a bit premature to begin looking towards there off-season. There are still five teams battling for the right to hoist Lord Stanley’s Cup. However, there are also twenty-five teams that are already working on next season. In the salary cap era, there traditionally have been a select few unrestricted free agents that trigger a bidding war on July 1st. The teams that sign such players usually begin a debate over whether they won or lost something by signing a player to outrageous sums of money. The high profile signings are followed by “trickle down” signings of players that have potential system fits and bargain priced veterans until the player well is all but dried up. Dustin Penner aside, restricted free agents are largely ignored during this period due to the compensation required to wrestle one away from their current clubs. This July could be somewhat different. There are the usual big ticket names in the unrestricted pool. Brad Richards, Tomas Kaberle, Tomas Vokoun, Ilya Bryzgalov, etc… will get their due attention; but the restricted free agents may garner serious offer sheet consideration for the first time in years. Consider the last time that Montreal had a roster overhaul, Bob Gainey spent boatloads to add Mike Cammalleri, Brian Gionta and Scott Gomez. (oops) The Canadiens, this time with Pierre Gauthier at the helm, have only nine players from last season’s roster signed, of which, only two are defensemen, and eighteen total free agents. There will be some significant turnover here. Depending on the cap max increase, Les Canadiens will have at least $25 million to spend. 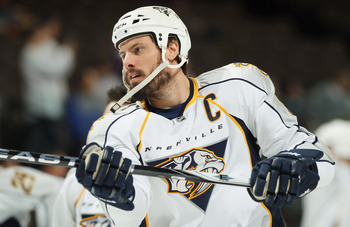 With a dearth of blueliners, might the Habs be in a unique position to place an offer sheet in front of RFA, and Norris Trophy finalist, Shea Weber that would be too rich for a thrifty Nashville organization to match? The money would not be an issue for Montreal when you realize that they dished out more than $11 million for the pair of Andrei Markov (who nearly missed the entire season) and Roman Hamrlik. The compensation required to pay Nashville, likely two first-round draft picks, one second-round draft pick, and one third-round draft pick, would be the real question. A weak 2011 Draft class and a likely late future first-rounder, may persuade the Montreal front office to make a move for an elite player such as Weber. The New York Islanders showed some real promise late this season. With a young and talented core, sixteen roster players already under contract for next season,mountains of cap room still available, and maybe a new building coming, the Isles could make waves in the free agent market. 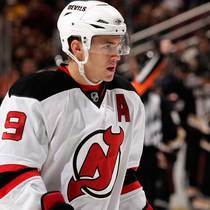 Adding RFA Zach Parise would create a stir. Cap strapped New Jersey would not be able to match an offer with an annual cost in the range of what they paid for Ilya Kovalchuk last off-season. Again, cap room is not a worry. With so many teens and twenty somethings on the roster, the Isles could afford to give up the draft picks to add a legit goal scorer like Parise. 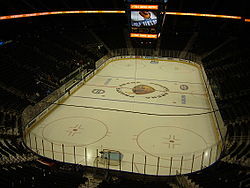 The PR buzz the team would receive in the New York market would provide some serious momentum to complete their long anticipated arena project. Staying with New York, what free agent discussion would be complete without talking about the Rangers? 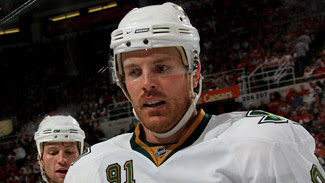 Nearly every Rangers fan is talking about Brad Richards, and why not? The Blueshirts have fourteen roster players signed for next season. They have important RFA’s of their own, namely Ryan Callahan, Brandon Dubinsky, Artem Anisimov, Brian Boyle and Matt Gilroy to sign. Should the Rangers elect to buy out the final season of cap albatross, Chris Drury’s contract, the team will realize more than $3 million in savings for next season, giving them a $20+ million cushion to bring back their players and add Richards too. Glen Sather always makes the off-season interesting. Of the elite teams still going at this time, Tampa Bay will have to decide on the futures of twelve total free agents from their roster. RFA Steven Stamkos is going nowhere. The Lightning have the resources to match any offer he would receive. The question will be how much of the $22 + million in cap space the team has for next year. The brilliant job GM Steve Yzerman did bringing in veteran Simon Gagne and in-season additions Eric Brewer and Dwayne Roloson, will have to be followed up by making the right moves concerning their immediate future with the team. Has Stevie Y set the bar too high for himself already? The beauty of the salary cap era lies not only with the automated level playing field, but also with the thrill of watching team strategies unfold every off-season. Teams that were not mentioned above, such as Toronto, Los Angeles, Florida and Edmonton will certainly be active in discussions, while Pittsburgh, Philadelphia, Ottawa, San Jose and Washington will try to make quiet changes around their core players. Atlanta and Phoenix will not only contemplate who will play for the team, but also where the team will be playing in the next few seasons. There is a Cup Champion still to be crowned, but it never too early to start working toward the next run at the Cup.